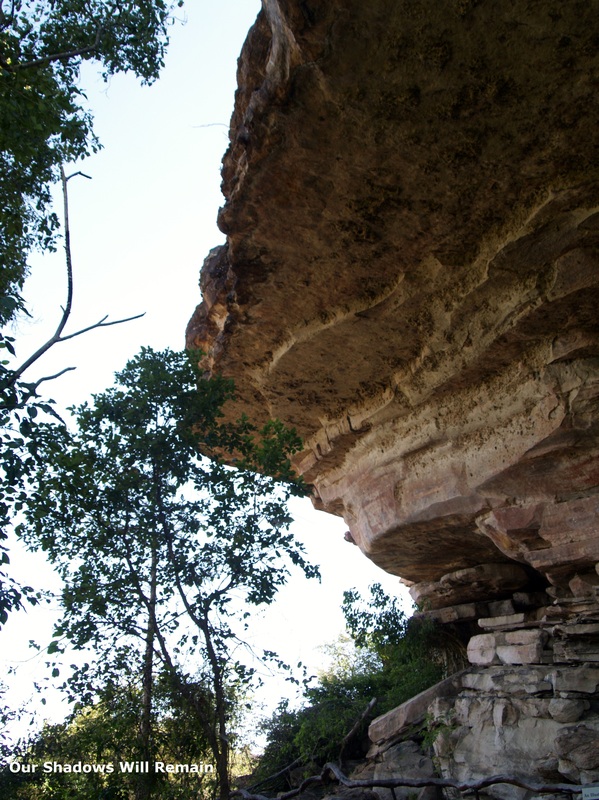 The main reason for Kakadu’s World Heritage Status is because of its collection of Aboriginal rock art in the area. The art details the history of the Aboriginal people of Australia and features some key historical moments, including the early contact with European people. The art is evidence of the close personal relationship that Aboriginal people have with the land and their country. It provides a record of Aboriginal life over thousands of years with the earliest painting dating back 20,000 years! The longest historical record of any group of people in the world. Look closely at the top of the over hanging rock. Some how there is a painting on the over hang of the rock 10m above the ground. One of the rangers told me about the Aboriginal story of how they grew tall enough to reach the area and paint it there. I found it hard to believe but as I stood underneath I couldn’t come up with any other logical explanation. Below is a closer look. Now, the rock art is extremely important to the Aboriginal people of Kakadu as it provides a scientific and historical record for the region. It is important that the rock art is preserved and many measured are made to reduce the impact on these historical paintings. 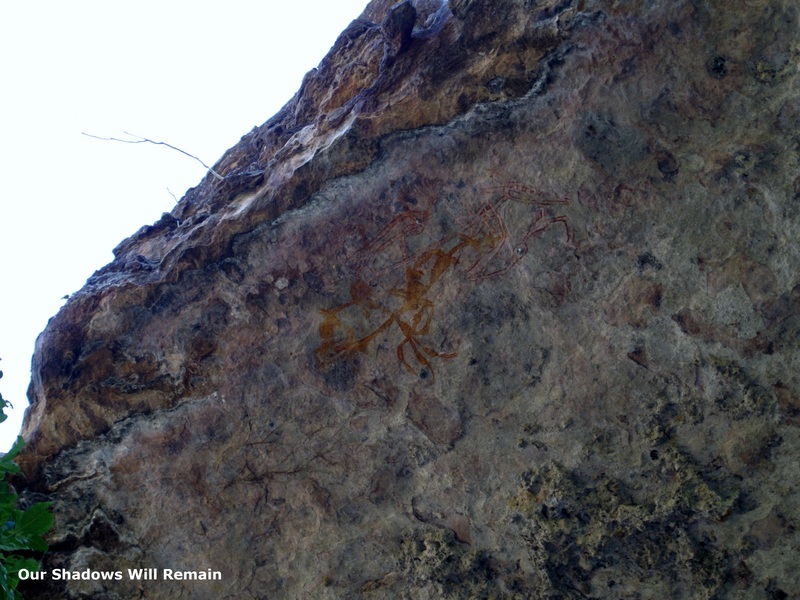 These photographs of Aboriginal rock art are taken from Kakadu National Park.